Here at ChiIL Mama, we caught Dr. Seuss' How The Grinch Stole Christmas The Musical years ago and adored it. We can't wait for it's return next month.The sets and Who costumes were incredibly colorful & whimsical, and they made the most of casting characters in an extreme range of heights and weights for maximum comic effect. We're so excited to see The Chicago Theatre production. Come see this childhood Seuss classic jump off the pages and into your hearts this holiday season. Cut the clutter this year with experiential gifts like theatre. 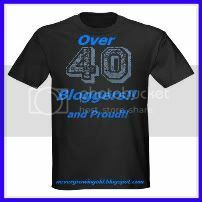 Create lasting memories for all the generations in your family with tickets to a show! 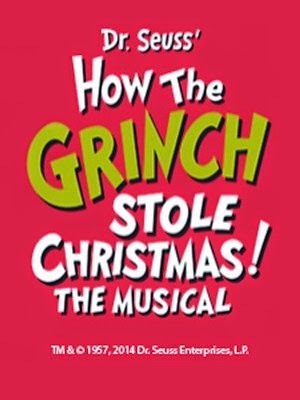 MSG Entertainment is proud to present Dr. Seuss' How The Grinch Stole Christmas! The Musical at The Chicago Theatre, 175 N. State Street, for 17 performances only, with many matinees available, Thursday, November 20 through Saturday, November 29. The classic Christmas story by Dr. Seuss springs to life on stage bringing the spirit of the holiday season to children and adults alike. The limited engagement in Chicago has been called “100 times better than any bedside story” by The New York Times. Audiences will find their hearts growing a few sizes (along with the Grinch’s heart, of course) when they witness the magic of the holiday tale on stage, which will feature the hit songs “You’re a Mean One, Mr. Grinch” and “Welcome Christmas,” both from the original animated television special. Max the Dog serves as the story’s narrator as the scheming Grinch plans to steal Christmas away from The Whos, the loveable characters that understand and embrace the true meaning of the holiday. When the Grinch realizes that he can’t take Christmas away from Who-ville by taking presents, he returns the gifts and decorations and joins the festivities, proving that all it takes is a little kindness and joy to grow the heart of any Grinch. Dr. Seuss' How The Grinch Stole Christmas! The Musical features spectacular sets specially designed for The Chicago Theatre with costumes inspired by Dr. Seuss’ illustrations, while the Music and Book of Mel Marvin and Timothy Mason only accentuate this timeless narrative. Embraced by generation after generation, The Grinch Stole Christmas! The Musical is a holiday tradition for audiences of all ages. The 2014 production is directed by Matt August and choreographed by Bob Richard based on the original choreography by John DeLuca and originally created by three-time Tony Award® winning director Jack O’Brien. Casting for the Chicago production will be announced at a later date. The performance schedule for Dr. Seuss' How The Grinch Stole Christmas! The Musical at The Chicago Theatre, November 20-29, is: Thursday, Nov. 20 at 11am & 7pm; Friday, Nov. 21 at 7pm; Saturday and Sunday, Nov. 22 and 23, at 11am, 3pm, and 7pm; Tuesday, Nov. 25 at 7pm; Wednesday, Thanksgiving Eve, Nov. 26 at 7pm; Friday and Saturday, Nov. 28 and 29 at 11am, 3pm, and 7pm. Tickets for Dr. Seuss' How The Grinch Stole Christmas! 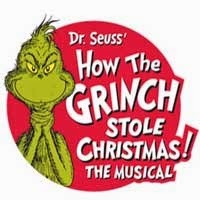 The Musical, which range in price from $35 - $125, can be purchased at The Chicago Theatre box office, by visiting www.thechicagotheatre.com/thegrinch, or calling 800-745-3000. MSG Entertainment (MSGE), the live entertainment arm of The Madison Square Garden Company (Nasdaq: MSG), is a worldwide entertainment company recognized for its signature combination of event production and entertainment marketing. In addition to the nearly 900 entertainment concerts and events that take place each year at Radio City Music Hall, Madison Square Garden, The Theater at Madison Square Garden, the Beacon Theatre, The Chicago Theatre, and the Forum arena in Inglewood, California, MSGE has an exclusive co-booking agreement with Boston’s Citi Performing Arts Center/ Wang Theatre. MSG Entertainment's live events include the Radio City Christmas Spectacular, which has played to more than 70 million people in 88 different cities across North America. More than five million people attend MSG Entertainment branded events annually including concerts, special events, and family attractions.